In the case of the Las Vegas shooting, one measure that would have made it more difficult for the shooter is a laminated security window system. Although not 100% bullet-proof, laminated windows don’t shatter. If fired at with a gun – even at close range – the glass breaks but remains in one piece. Laminated glass also changes the bullet trajectory and reduces its velocity. Whether a shooter is outside a building and firing into it, or inside a building and firing out of it, this type of window system helps protect the people on the other side of the window. Laminated glass is made of two panes of glass with a vinyl interlayer. The interlayer is what holds the glass together during and after an impact. The most common type of laminated glass features a polyvinyl butyral interlayer (PVB), which is available from many glass suppliers. PVB glass is often used in automobile windshields, hurricane windows and bomb blast windows. Another type of laminated glass features a Sentry Guard Plus (SGP) interlayer. SGP laminated glass is five times stronger and up to 100 times more rigid than PVB laminated glass. Manufactured exclusively by DuPont, SGP laminated glass is more expensive than conventional laminated glass. 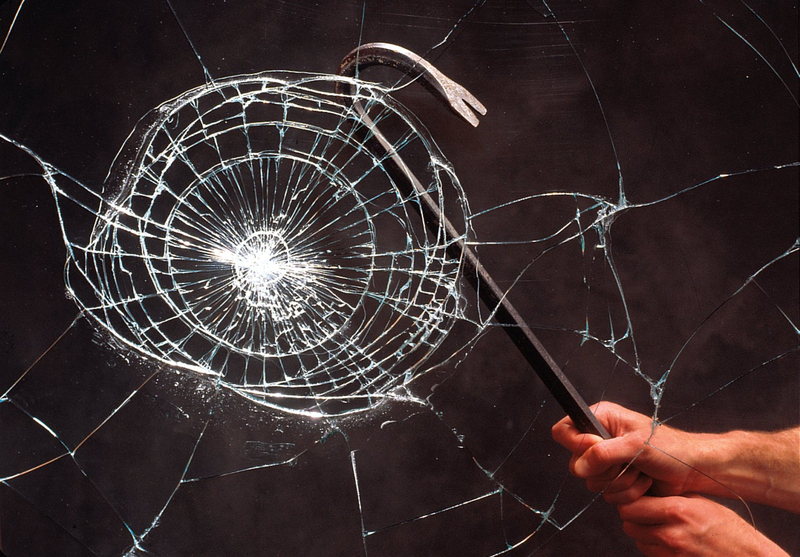 Security windows made with this type of glass are virtually impossible to shatter. Both PVB and SGP laminated glass windows are ideal security measures for hotels, motels, schools and universities. The heartbreaking Sandy Hook Elementary School shooting in 2012 is a perfect example of how these types of facilities would benefit from laminated security windows. In the Sandy Hook massacre, the shooter entered the school by shooting out a window near the front office. Had the school been equipped with security windows, it would’ve been much more difficult for the madman to gain entrance. Contact us today to learn more about how laminated security windows can help protect your building!